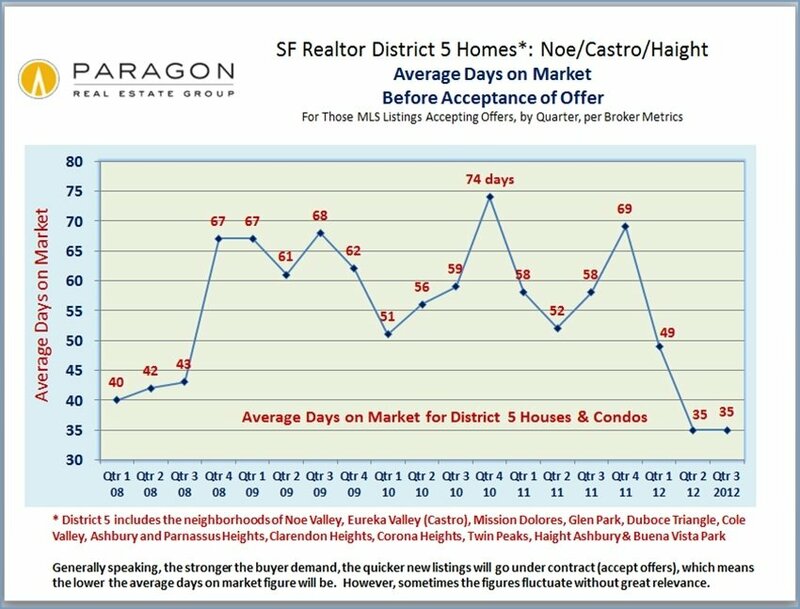 Below are a variety of charts detailing market conditions and trends in the neighborhoods of San Francisco’s central Realtor District 5. 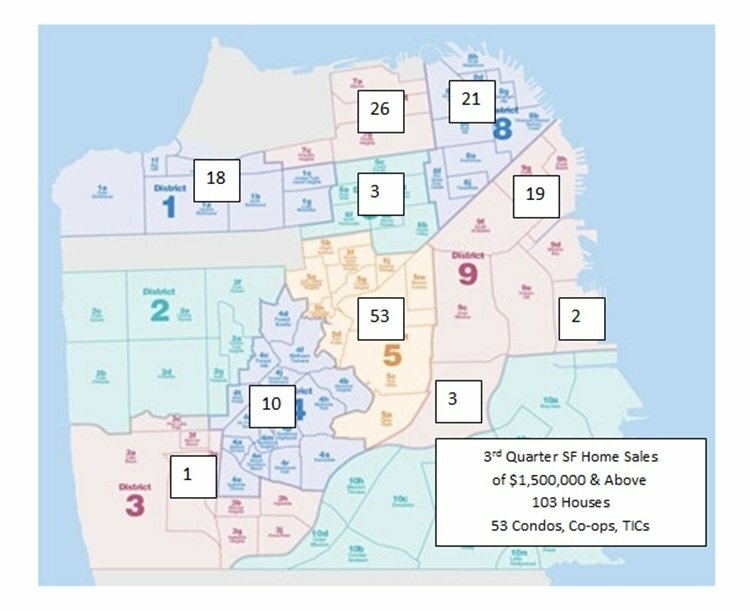 District 5 is one of the more homogeneous districts in San Francisco in terms of property values, but still any analysis of an area with so many properties of different type, location, condition and quality can only be a very general overview. 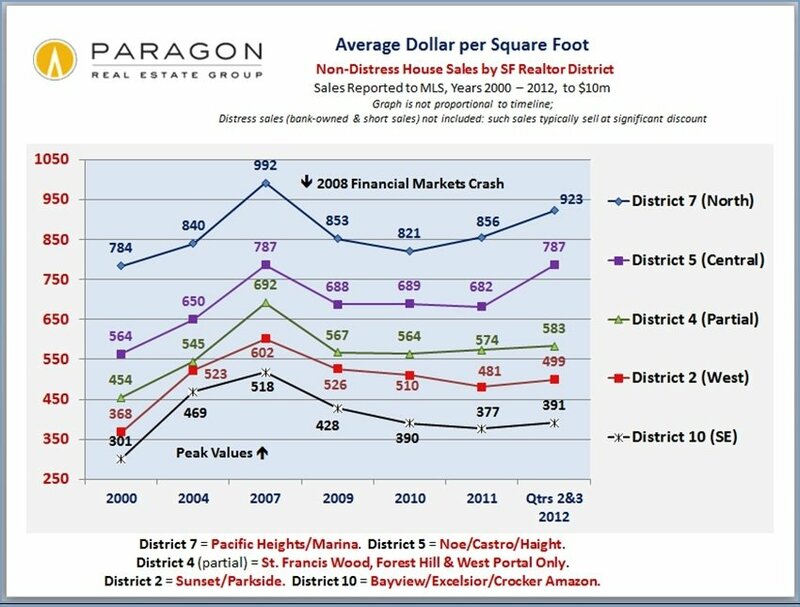 District 5 soared in value between 1996 and 2008 and was one of the last districts to peak in value before the market meltdown in September 2008. Values fell 15% to 20% very quickly and then stabilized in 2009 and 2010. 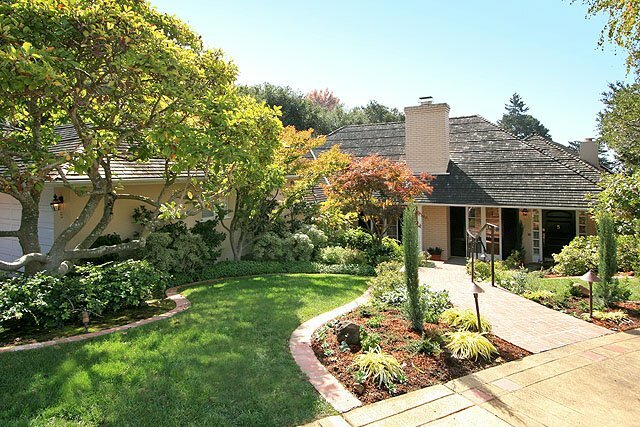 The market started to turn around in 2011 and, now in 2012, the competition between buyers has become ferocious: inventory is very low and many of the listings are selling very quickly in multiple-offer, competitive-bidding situations. 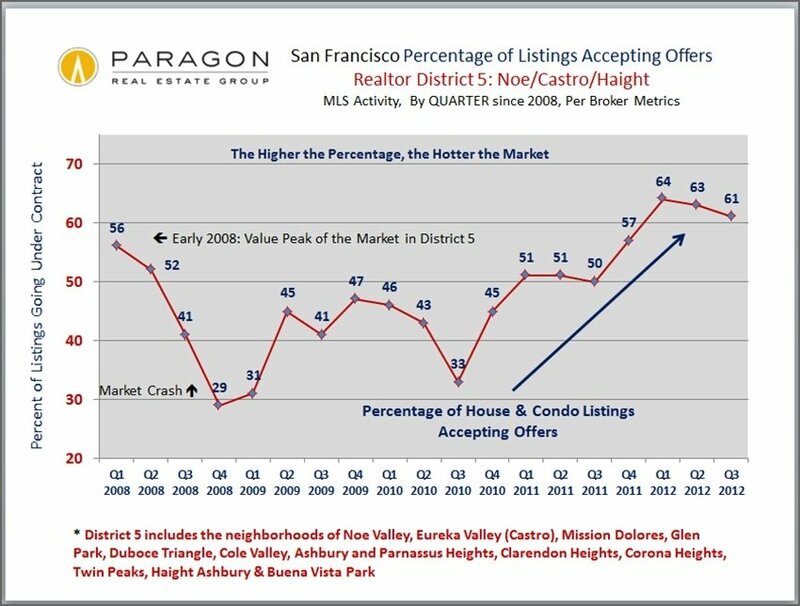 This is exerting considerable upward pressure on prices: generally speaking, values are soaring once again. 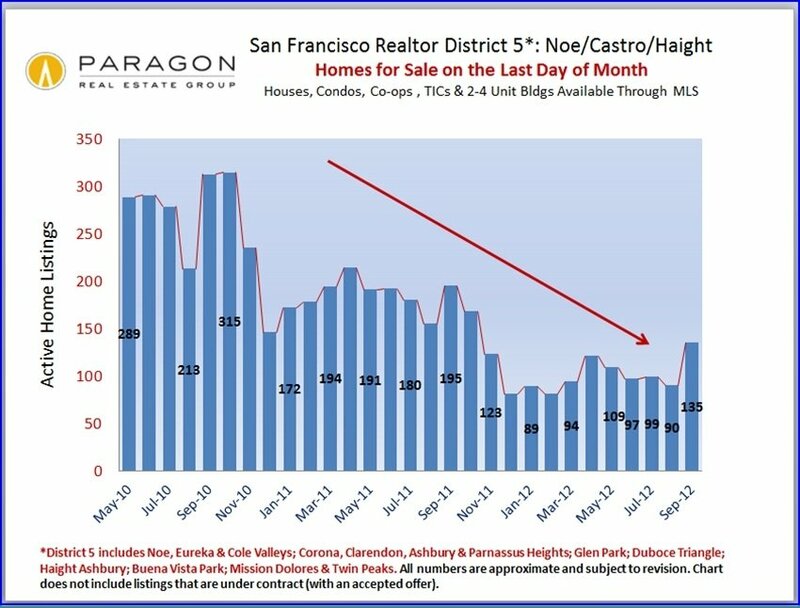 Is the Ferocious SF Market Easing a Little? 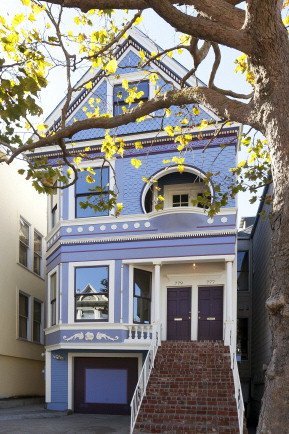 September brought a burst of new inventory that helped satisfy some of the fierce buyer demand for San Francisco homes. 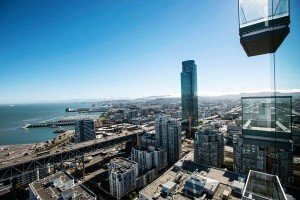 Anecdotally, word on the street is that the market may have calmed down a little after Labor Day: not every listing is selling immediately amid high numbers of competing offers — though this may simply reflect the temporary increase in new listings, or sellers too hopeful in their asking prices. But it also appears that home price appreciation has been stabilizing or at least slowing in the last quarter after the big jump earlier in the year. It’s still too early for conclusions: Since most statistics are like looking in a rearview mirror, what is happening today will only become clear in coming months. Even if the market has eased a little, it is still very strong and very competitive by any historical measure. 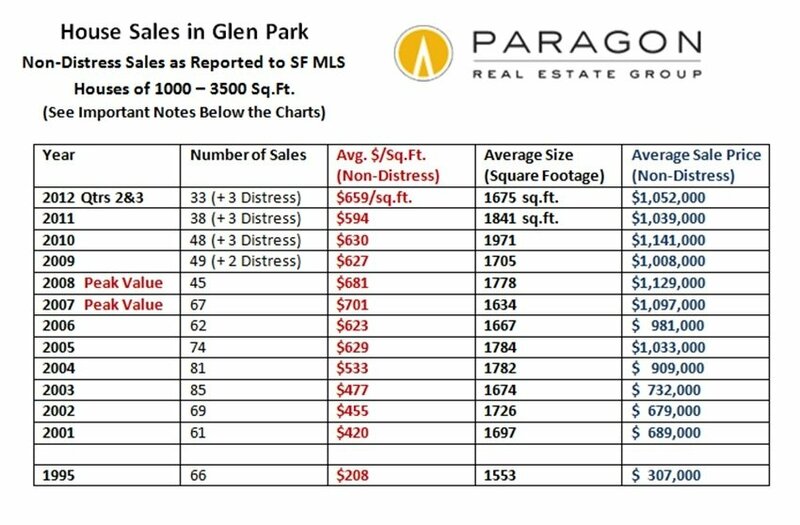 Below are 2 updated, mapped analyses of median sales prices and average dollar per square foot values. 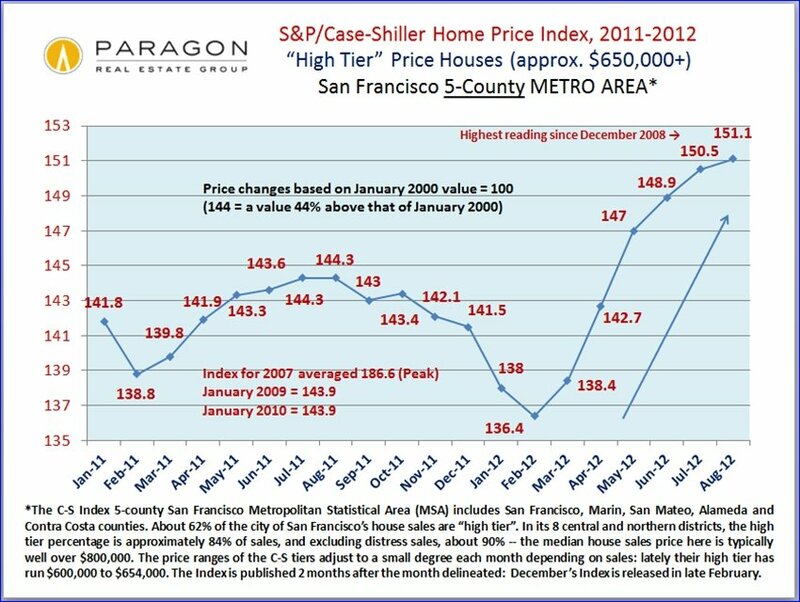 Almost all the current values reflect a significant jump from 2011: for the city overall, the increase has been in the 10 to 12% range, but it can vary from 4% to 18% by neighborhood and property type. 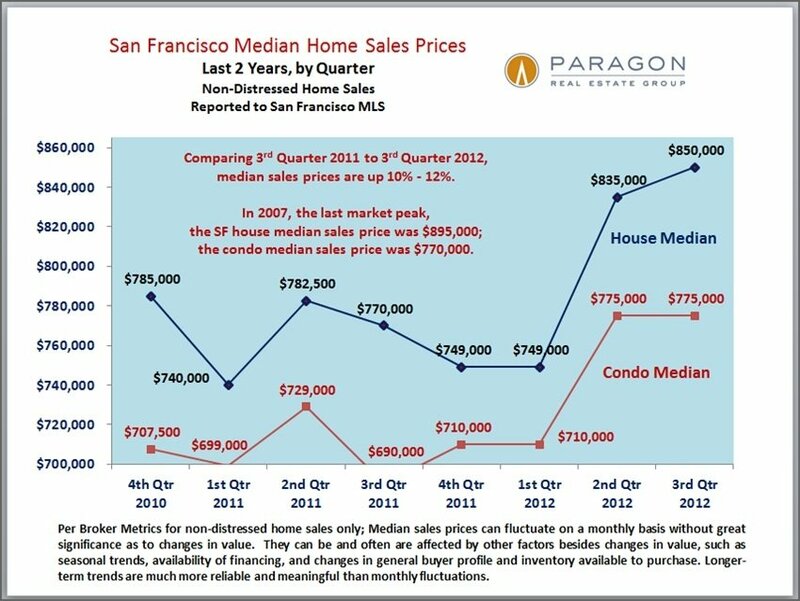 After the big jump early in the year, median price appreciation for both house and condos appear to have stabilized or slowed – at least for the city as a whole. 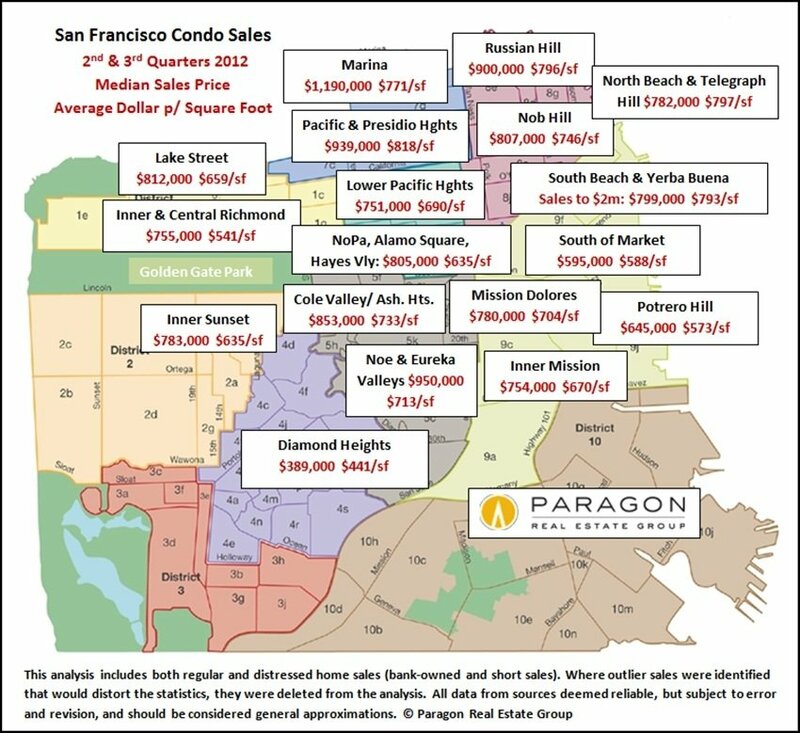 (Market conditions vary widely by neighborhood.) 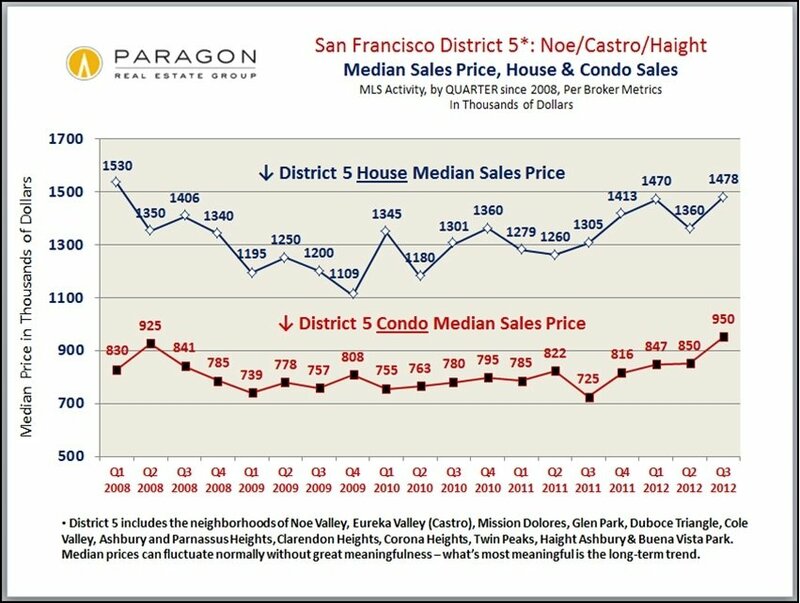 The median sales price for non-distressed SF condos now slightly exceeds the median price in 2007, the last peak of the market, while that of SF houses is only 5% below 2007. We have similar charts going back 15 to 30 years available on our website. September had the highest number of new listings of any month in the past year, though well below previous Septembers: 760 new home listings in September 2012 vs. 888 in 2011 and 1138 in 2010. This significantly, if temporarily, expanded the choice of homes available to buyers. 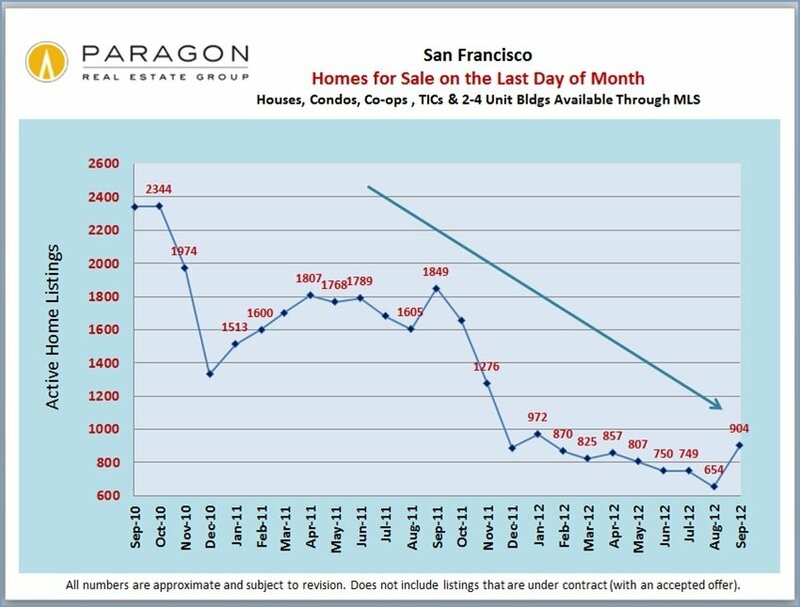 But now, in October, the number of new listings is dwindling again and inventory is still drastically low by any historical measure. 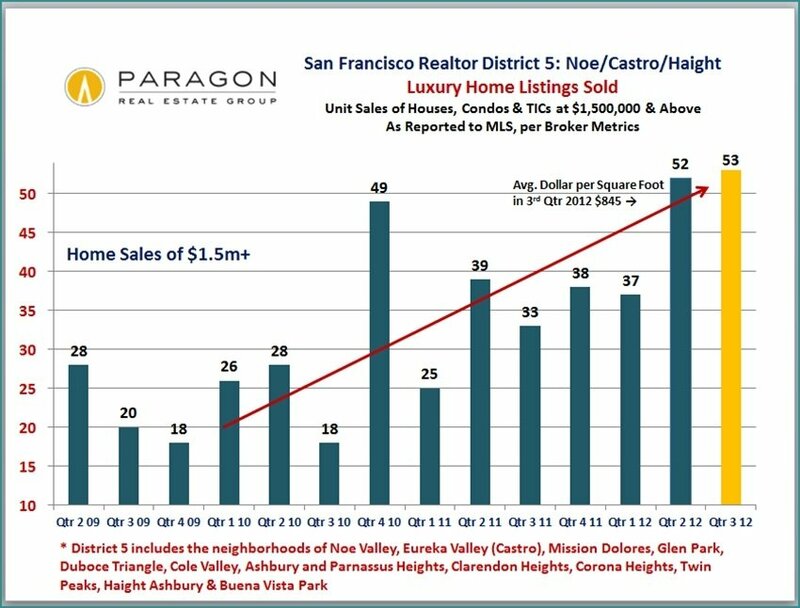 Overall, in the third quarter, there were 1100 fewer listings than in the same period last year, but the number of sales increased by 21%. 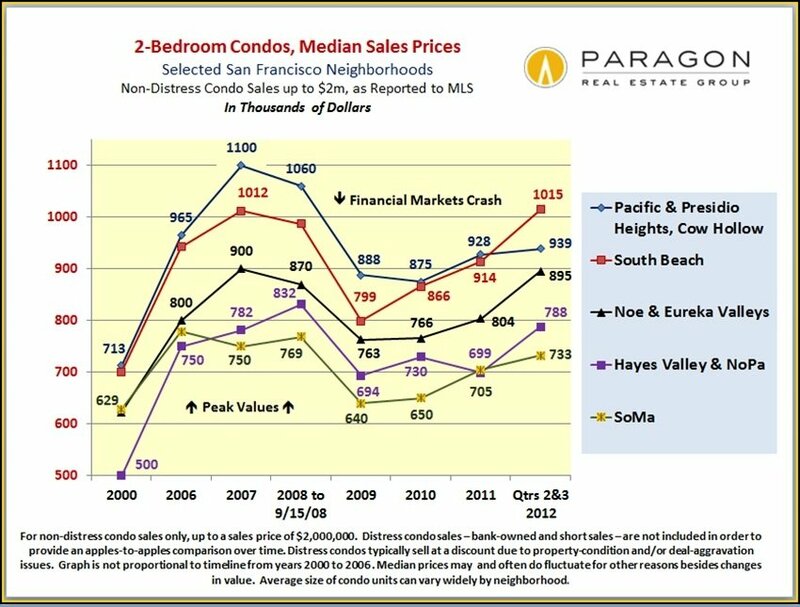 In the 5 areas shown, condo values jumped across the board, though the most dramatic increase from the bottom of the market has been in South Beach/Yerba Buena — where in the last 2 quarters, the median price surged ahead of that for Pacific and Presidio Heights. 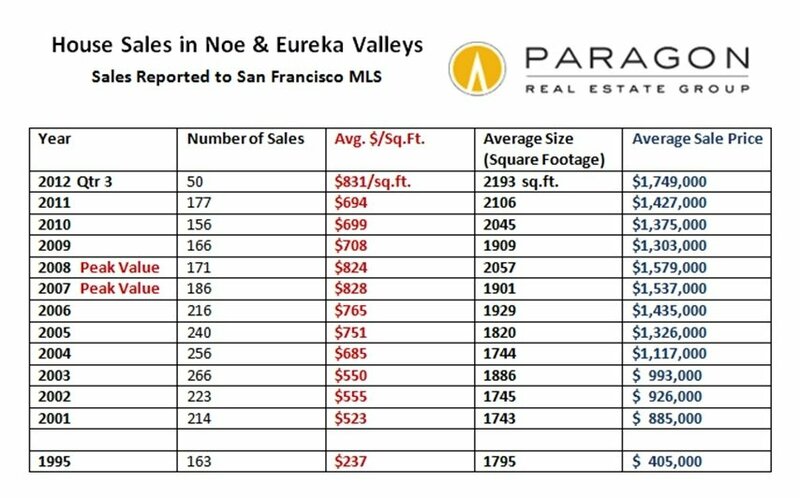 Noe and Eureka Valleys and surrounding neighborhoods, SoMa and Hayes Valley/NoPa have also seen large increases. If you’d like data on a neighborhood not listed, please let us know. 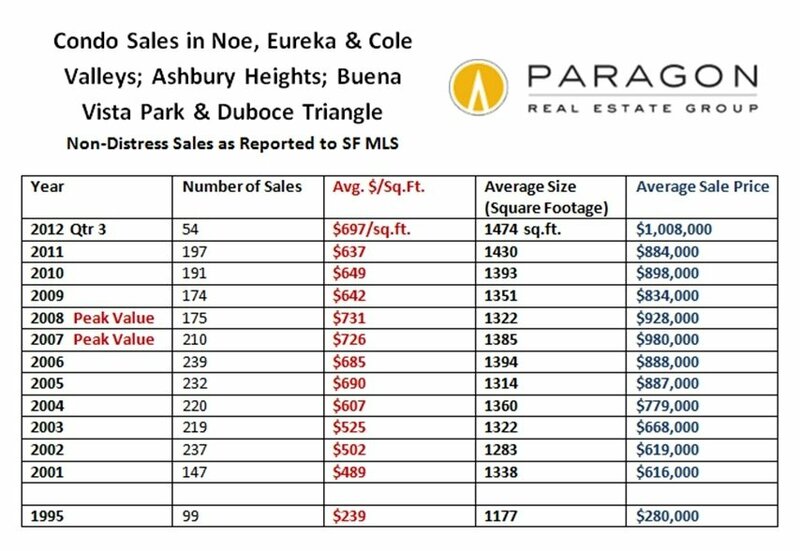 Though pretty much all SF neighborhoods are seeing increases in dollar per square foot values for houses, the more affluent districts 5 (Noe/Eureka/Cole Valleys) and 7 (Pacific Heights-Marina) have seen some of the largest jumps. 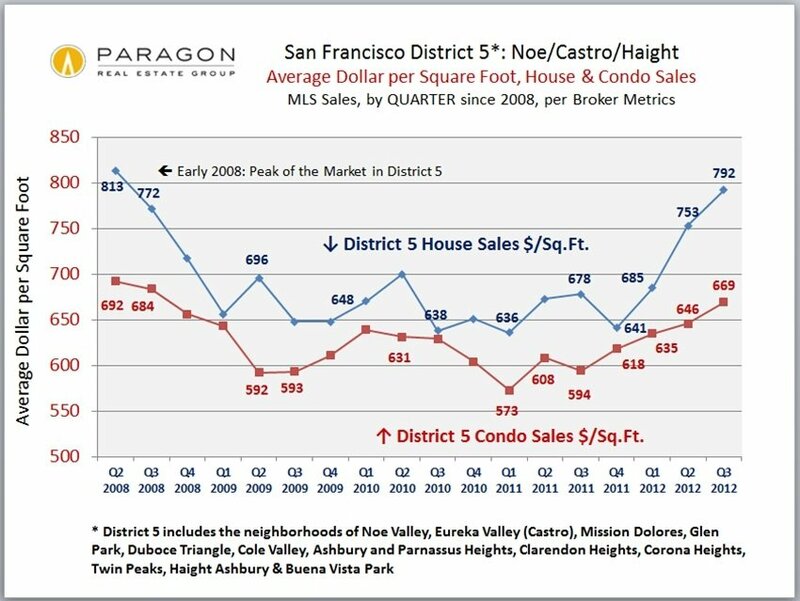 In the last 2 quarters, District 5 hit a point matching the peak of the market in 2007. If you’d like data on a neighborhood not listed, please let us know. 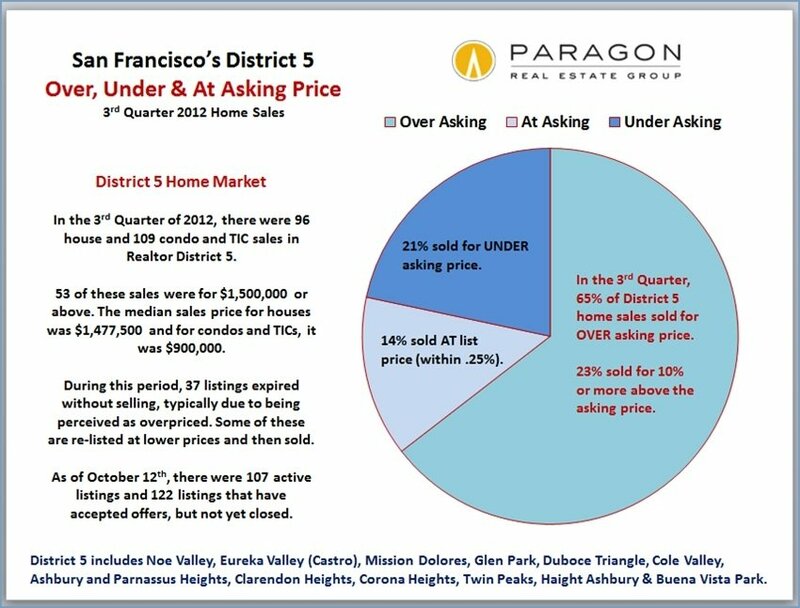 Comparing the 3rd Quarter 2012 with 3rd Quarter 2011, MLS listings of San Francisco homes of $1,500,000 and above increased by 23% and sales soared by 54%. 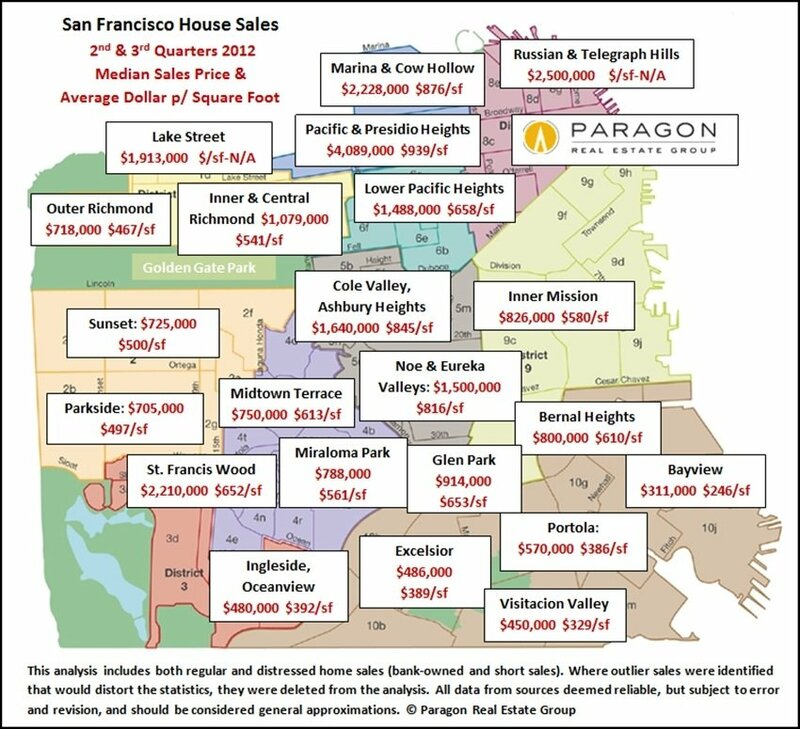 This map shows where those sales occurred: 18 in the Sea Cliff/ Lake Street/ Richmond district; 26 in the Pacific Heights/ Marina district; 21 in Russian/ Nob/ Telegraph Hills; 19 in the greater SoMa/South Beach area; 53 in the Noe/ Eureka/ Cole Valleys district; 10 in the St. Francis Wood/ Forest Hill district; 2 in Potrero Hill and 3 in Bernal Heights. 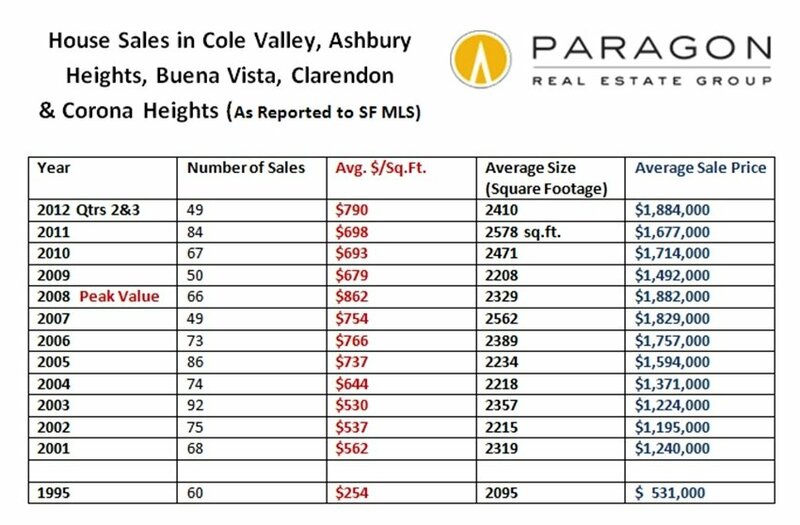 The highest prices are still generally achieved in the band of very affluent neighborhoods running across the northern boundary of the city, though growth in the number of luxury home sales is strongest in the central and northeastern areas. Still bumping along at the lowest levels in memory. 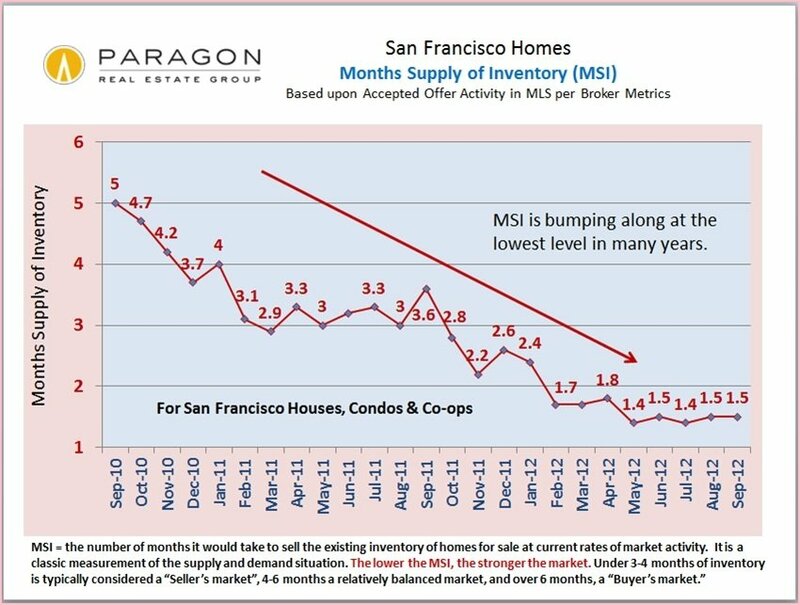 MSI reflects the amount of time it would take to sell the current inventory of homes for sale at the existing rate of sales. 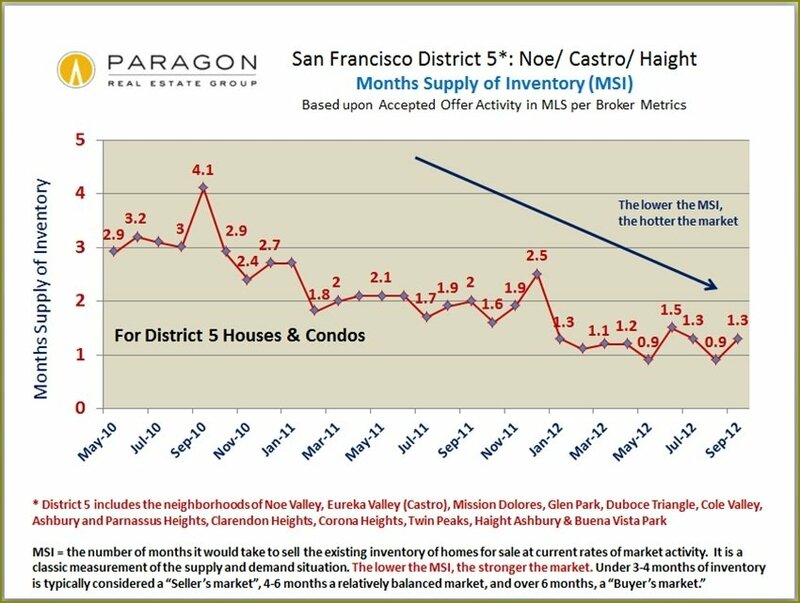 Lower MSI means higher demand as compared to supply. Houses, condos and TICs all hit historic highs in the 54% to 60% range earlier in the year, but have now fallen back a bit. In the third quarter, TICs saw a rather large decrease, but their percentage is still much higher than in the last four calendar years. 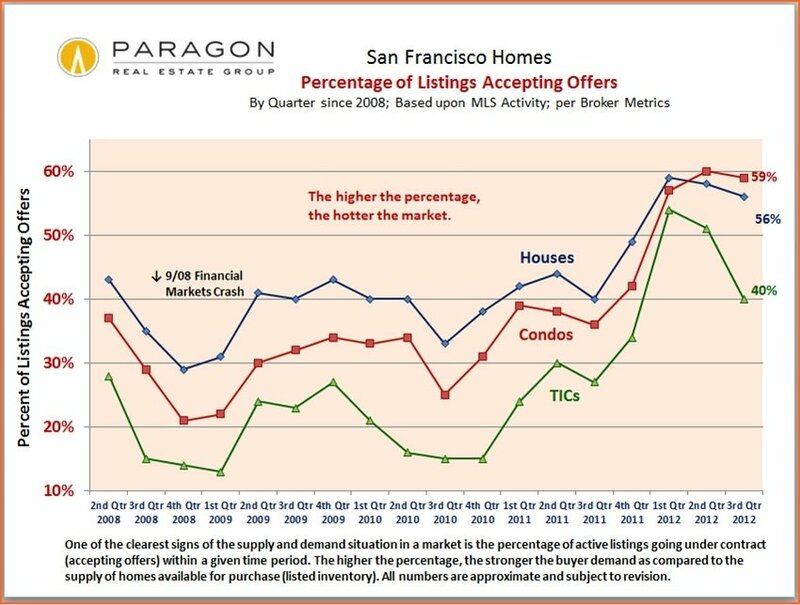 The percentages for houses and condos are still extraordinarily high. This statistic is one of the clearest measures of supply and demand. 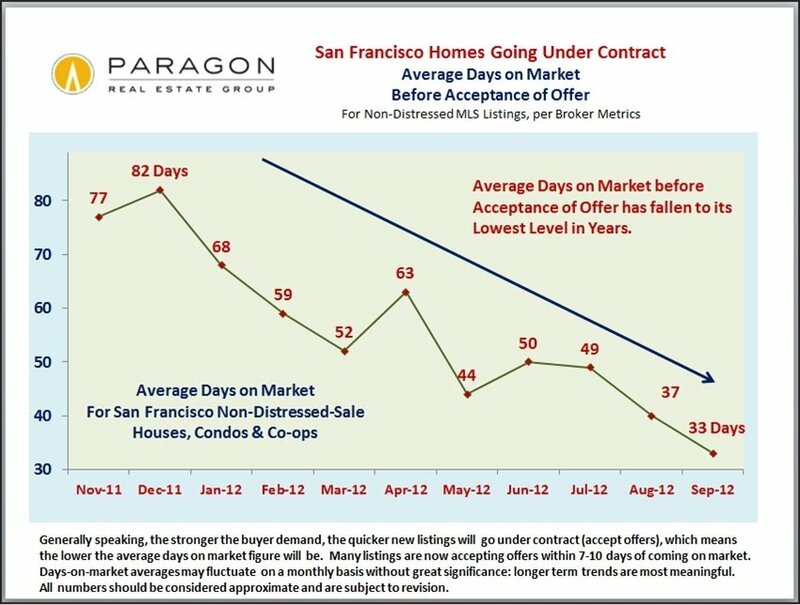 For those listings that did accept offers in September, the average days on market was the lowest in a long while. Many new listings, especially those considered most appealing and well-priced, are accepting offers within 7 to 10 days of coming on market.